Every month Martha Stewart and her team of skilled editors bring us a wealth of great ideas to enrich our everyday lives. They cover all aspects of daily living with the emphasis on the home and enjoying our time at home: gardening, cooking, entertaining, renovating, creating, collecting and even cleaning. After all these years they keep coming up with fresh ideas and neat ways of doing things. Style, quality and practicality go hand in hand with Martha Stewart Magazine and while often inspiring the menus ideas and recipes are really geared busy home cooks looking for easy every day and entertaining ideas and new twists on classic favorites. While Martha Stewart has become a very commercial, high profile brand Martha Stewart Magazine consistently inspires and it’s practical, how-to-information is always presented with great style. Halloween and Christmas just wouldn’t be as much fun without the great decorating ideas and festive foods they come up with every year. A year or so ago i read an article where Martha was showcasing one of her home’s and there was a Louis Phillipe type chase and bed. Where can i find that bed/chaise and/or the month of the magazine where i can purchase an archived version. I was promised a bed for Mother’s Day and that was my dream bed. I’m trying to find a copy of Martha Stewart Living magazine that shows Martha on the cover standing on a pink ladder and says “75 Decorating Ideas” on the cover of the magazine. The date is not readable. I would appreciate any help you can give me! Doesn’t ring any bells with me, however, I would contact Martha Stewart living through their website. I am sure they can send you a back issue. Hello! 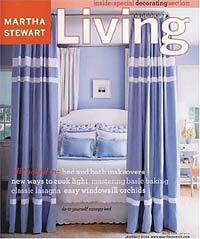 I am looking for a MS Living magazine cover of Martha standing by a china cabinet. It is white but the shelves are painted blue. the “wall” behind the shelves are blue bead board. The doors have windows and the cupboard is closed below with doors. There was a whole article on bead board in that issue. I lost it and need it for a project! Try contacting Martha Stewart Living directly via their website. i am looking for MS Living magazine that has stencils of white flowers on a gray table top. Iwant to know where i may purchase the beautiful stencils? 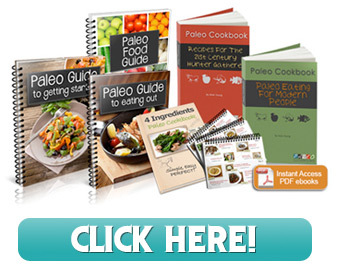 Change Your Life Now with Nikki Young's Paleo Cookbooks! Copyright © 2012 CookbooksWeLove.com. All Rights Reserved.